I am thrilled to announced that I have recently teamed up with and became an ambassador for Nourissh. 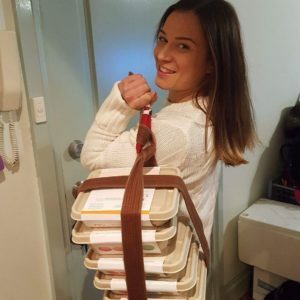 Nourissh was founded in 2015 by Amanda Campbell, who discovered that eating wholesome and healthy food helped her not only recover from serious health issues, but to feel better than ever before. 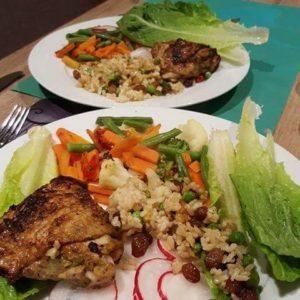 The aim of Nourissh is to create an easy (and tasty) way for everybody to get the benefits of carefully planned, nutrient dense meals. The team now spend their time sourcing quality ingredients, hosting workshops and refining their mouthwatering menus. 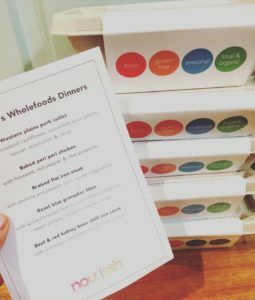 Nourissh meals are preservative and gluten free and made only from ethically sourced ingredients from local, or organic farms. The lunches and dinners are nutritionally balanced, fresh, healthy, and most importantly they are absolutely delicious. Every Sunday, I receive a delivery of 5 dinners, which are all vacuum sealed to make sure they stay fresh as long as possible. You can choose your menu to be either paleo or wholefoods and you can even mix and match. Both menus are always gluten and preservative free (the paleo menu is also grain and dairy free.) Vegetarian and Vegan options are launching in a few months. The menu changes each week, and after 6 weeks I have not had a repeat of a meal yet. 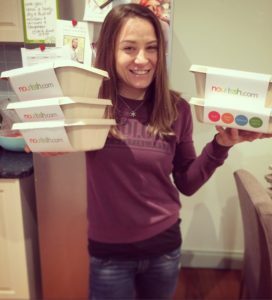 When I first tried my Nourissh meal, it blew all my expectations. Delicious is an understatement. 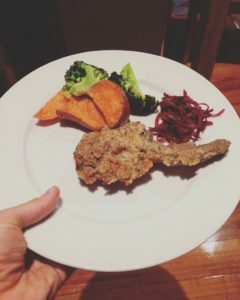 The meals are restaurant grade and they make me feel energised, nourished (see what I did there?) and full. I actually can’t wait to get home from training, because I love my dinners so much, I just want to eat them all. Are the serving sizes enough? For those who don’t know me, you mightn’t be aware of how much I love food and how much I’m capable of eating. 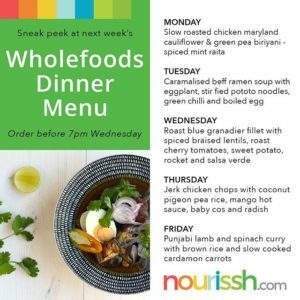 Well, I have been sharing my meals with Lachie, and we just cook additional veggies or brown rice, and it’s easily enough to make us both full. 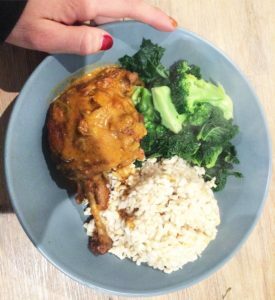 The dinners are between 400-600 calories, which is perfect to replenish what our bodies need after a hard day’s training and work. Apart from the incredible taste, my favourite thing about Nourissh is how easy it is. I usually don’t come home until 10 pm and last thing I want to do is shop, cook and clean. Having Nourissh meals in my fridge means I don’t go to the supermarket after training when I’m starving and buy unnecessary snacks. We simply put our dinner in the oven for 15 minutes or in a microwave for 3-5 minutes. The bamboo boxes which the meals come in are recyclable and we heat up our meals in them, which means there is no washing up to do. I am so time poor already, so saving a good 45 minutes of each day is a real blessing. I can concentrate on training and working more and my recovery is way better. How can you get Nourissh in your fridge? Easy! Visit www.nourissh.com and get started. There is no contracts and for my blog/social media readers the team at Nourissh have offered $25 off your first box. Just type LIVIA in the coupon code. You will not regret it!